The French Conquest of Corsica took place during 1768 and 1769 when the Corsican Republic was occupied by French forces under the command of the Comte de Vaux. 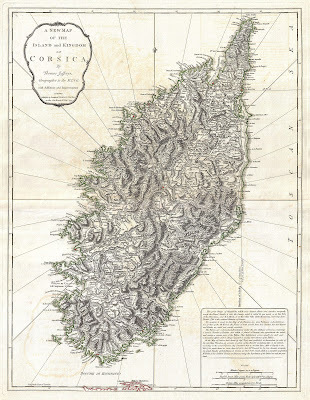 France acquired the island of Corsica from the Genoese Republic with the Treaty of Versailles in 1768. Genoa still claimed ownership of the island, although since 1755 Corsicans had achieved virtual independence. After abandoning any hope of recovering Corsica by force, the Genoese chose to sell their rights over the island to France who were keen to gain new territory to replace territory lost during the Seven Years' War. France's initial offensive failed after a significant defeat was suffered at the Battle of Borgo in October 1768. France despatched large numbers of reinforcements, swelling the size of their army there to 24,000. The Corsican army suffered a major setback at the Battle of Ponte Novu and the French forces soon overran the island although Corsican forces were not completely subdued until the following year and sporadic outbreaks of rebellion continued. The French invasion triggered the Corsican Crisis in British politics. Although they sent secret aid to the Corsicans the British government chose not to act to prevent the island's occupation. The leader of the Corsican Republic, Pasquale Paoli, went into exile in Britain where he remained until the French Revolution allowed him to return to Corsica. 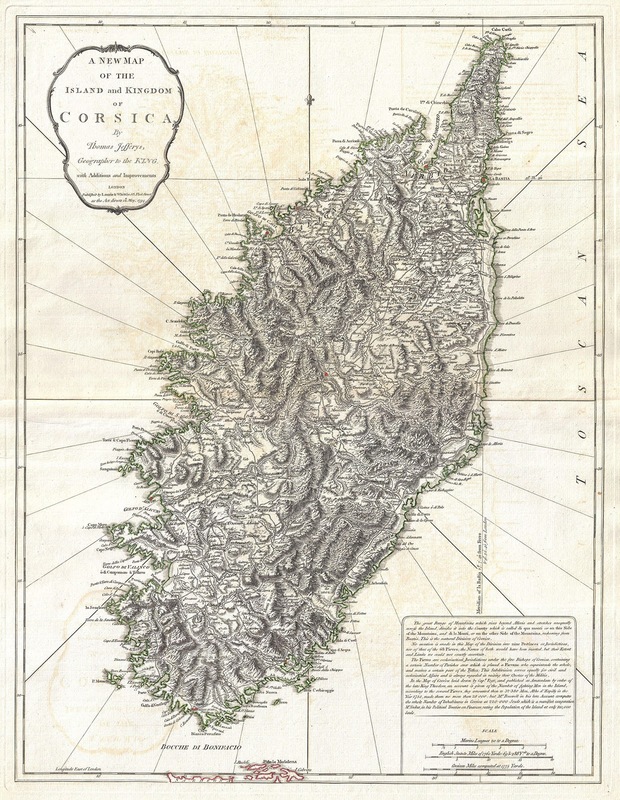 British troops subsequently intervened in Corsica between 1794-1796, where they created the Anglo-Corsican Kingdom, and in 1814 when they agreed the Treaty of Bastia. Following the Congress of Vienna control of the islands were returned to the restored French monarchs. The Battle of Borgo was a battle between Corsican and French forces over control of the town of Borgo on 8 October 1768. In October 1768, Pascal Paoli tried to recapture U Borgu (Borgo), where a French force of 700 men under De Ludre was entrenched awaiting reinforcements. During this time. Pascal Paoli ordered his entire force to march on Borgo, whilst Clément Paoli kept a watch on Pascal's rear to prevent Grand-maison from descending from Oletta, where he had taken refuge. The main roads between Bastia and Borgo were also kept under surveillance by the Corsicans. The Marquis De Chauvelin learned of the fate awaiting his countrymen and sent Grand-maison towards Borgo. De Marbeuf and Chauvelin left Bastia with 3,000 men to join the force in Borgo. De Ludre and his 700 men entrenched themselves in Borgo awaiting the assault. Paoli inspired his troops by telling them "Patriots, recall the Corsican Vespers, when on this very spot you destroyed the French. The honour of the fatherland and public liberty today need all your valour. Europe is watching you.". Battle commenced on the morning of 8 October 1768 and lasted ten hours. Grand-maison tried in vain to defeat Clément Paoli and his men. Marbeuf and Chauvelin thought it best to retreat and De Ludre surrendered. 600 were dead, 1000 wounded and 600 taken prisoner, whilst 3 bronze cannon, 6 other cannon, a mortar, 1,700 fusils and other munitions were captured by the Corsicans. Louis XV of France was surprised by the defeat and even thought of making no further armed attempts to incorporate Corsica into France, but the Duc De Choiseul made every effort to continue the war and repair the damage the defeat had done to his reputation.